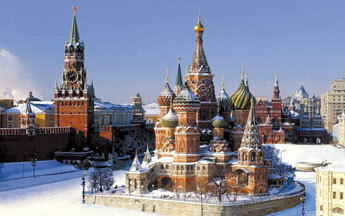 SriLankan Airlines will fly twice weekly to Moscow. The first flight took off from the Bandaranaike International Airport (BIA) on September 17 to Moscow's Domodedovo Airport. SriLankan's VIP delegation included the Russian Ambassador Vladimir P Mikhaylov and Mrs Mikhaylov, SriLankan Airlines Head of Commercial Operations, Mohamad Fazeel and Regional Manager for Russia/Middle East and Africa, Lal Perera. The flight which operated via Dubai arrived in Moscow at 16.40hrs on the same day. It will also help to have a better understanding of the historic heritage of the people of Sri Lanka and Russia". On arrival in Moscow, the SriLankan delegation was welcomed by Moscow's Airport Authority Officials and the Sri Lankan community in Moscow.